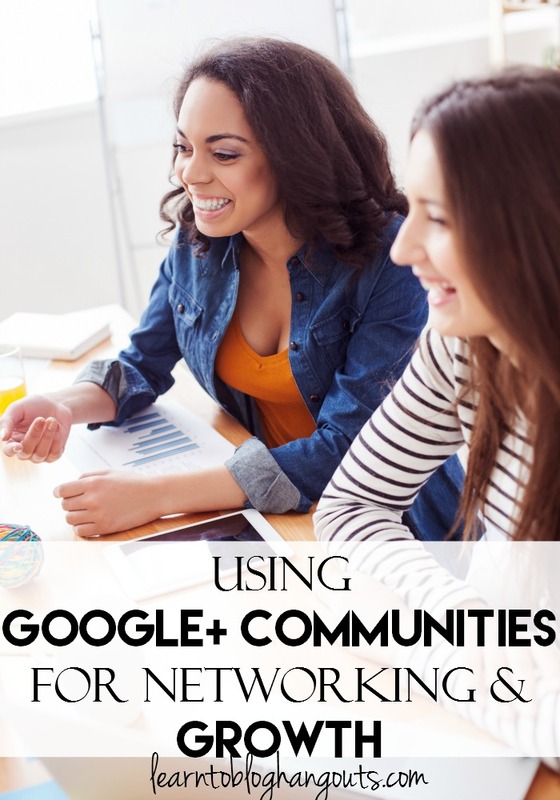 Are you wondering how to use Google+ Communities? Did you know they are fantastic for networking and growth? This week, Kelli & Crystal share their secrets. Did I mention you can do this in just 15 minutes a day? Your Google+ profile helps you control how you appear within Google+ and all across Google. Sharing your posts on your Google+ profile and being active in the community can help your site appear higher in Google search results. Kelli spends about two hours each week (an average of 17 minutes each day). If you break that down to about 15 minutes a day: share 80% others’ content and 20% yours. Then, Kelli records her follower stats in her planner each day. Following her strategy, she gains 100-200 new followers a day. Kelli achieves this just by communicating, interacting, and sharing posts. Follow those that interest you, not just to get follows. Google+ users can determine who sees each and every post based upon their interests. Click communities > your communities, show possible places to join. Share a post you wrote in a relevant community. Be active in G+ to show up in “you may know” section. Organizing your circles by topic. When sharing others’ content, tag the author and use a few relevant hashtags. Crystal says she gets up two hours before your family and stay up after the kids go to bed. Kelli said she’s used to magazine-style deadlines (two-three months before a holiday); use timers, set goals, and has a science to her method. Kelli doesn’t. She follows people that interest her. 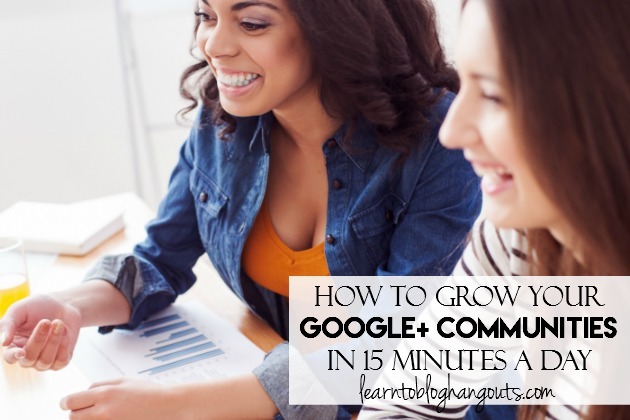 She considers whether their content is what she would want to see when she logs in to Google+ each day. If the content is not interesting to her or her readers, she will unfollow them. Anyone you have a close relationship with, those in networking groups, your readers, etc. 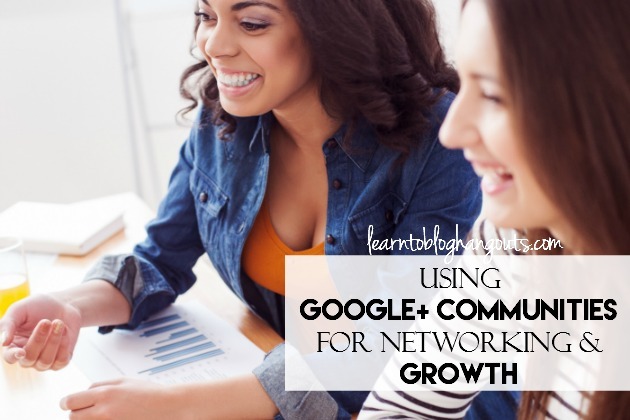 Go into Communities (within Google+) and go to Discover Communities (based on your current communities, your content, or membership of others you follow). How do I promote my content within communities? When you share content on your blog or come across content that the group would be interested in, share to that community. Public – May be visible by anyone, anywhere. In certain community – Shares with members of that community. Circle – Shares with members of that circle. What should I know about the suggested user list (“You May Know”)? If your profile is shown in the suggested user list, you may gain 50-1,250 followers each day. You can increase your chances of showing up in the suggested user list by being active within Google+. Do you put all of those you follow into a specific circle? Yes, to make sharing and finding content easier (i.e. 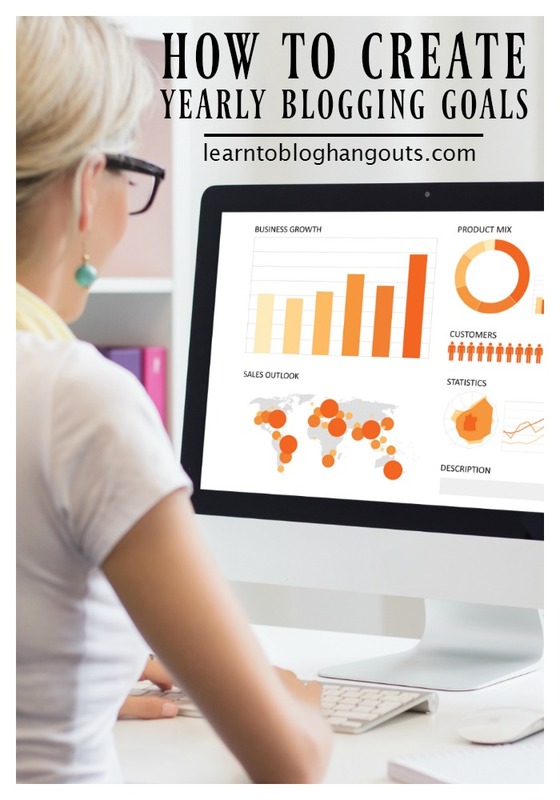 a homeschooling circle to promote your content, share their content, and read their content). Should I use a personal or business Google+ profile/page? Which do you use the most? If you are only posting your blog posts to your Google+ page and there is nothing there to interact with, they’re going to leave. People follow on social media is not to get updated on our posts, it’s to be social. Claim your business name on Google+ to ensure no one else can us it. How do I increase my following? Follow some people, but don’t just follow to follow. Concentrate on communities and interacting. That will naturally increase your number of followers. Create a hover card that shows your photo and gives an overview of who you are and the type of content you will be posting. Follow others in the same communities and niche and others who share your content. « Meet the April 2016 SKYROCKET Ambassadors!